Johnson, Clementine Jowan, was born August 20, 1942 in Pompano Beach, Florida to the late Curtis and Theresa Wilkes. Clementine was educated in the Public School System of Broward County Florida. Graduating from Blanche Ely High School, she attended Florida Memorial College and Community College of Philadelphia. Clementine accepted Christ at the age of 7 and was a faithful member of the church. She was known for being a childcare provider in Pompano and in Philadelphia. She was a powerful preacher and was known for her singing voice and by the song “Give Me My Flowers”. Clem loved attending church and she made sure her children were involved. She loved shopping, going to restaurants and being with her family. Clementine was proceeded in death by two daughters, Peggy Sharon Petty and Lawanda Lorraine Johnson; one son, Daryl Cornelius Johnson, Sr.; great grandson, Isiah Joshua Graham, Jr.; one brother, James Wilkes; one sister, Annie Lee Blunt. After her illness, Clementine departed this life on Friday, February 1, 2019. 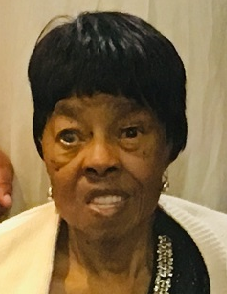 She leaves to cherish her memories her husband, Vernon Eugene Johnson, Sr.; three daughters, Felicia (Timothy) Flowers, Jowan Johnson and Patrice (Steve) Noland; two sons, Vernon Eugene Johnson, Jr. and Fitzgerald (Farrah) Johnson; nineteen grandchildren’s, Ronell Myers, Latoyia Johnson, Isiah Graham, Daryl Johnson, Jr., Milanja Graham, Lakisha Johnson, Jetaime Petty, Alexis Graham, Destiny Johnson, Cree Allen, Malachi Graham, Mya Johnson, Nehemiah Flowers, Sharde, Shante, Brandon, Jamal, Travon and Yesha; nine great grandchildren’s , Milayah, Ezani, Mahlon, Zuriyah, Ah’ziyah, Mesai, AJ, Isaac and Ah’znari; two sisters, Loretta Ward and Irene (Robert) Thomas; one brother, Curtis (Nancy) Wilkes; five sister in laws, Clara Mack, Margaret Johnson, Alice Johnson and Lorraine Johnson; one sister-in-law; Veronica Johnson, one brother in law, Tommy Johnson; a special friend, Gloria Brown; a host of nieces, nephews, cousins and friends.